From full sheet mirrors to custom shapes and sizes, the experts at Rogers Glass in Savannah, Georgia have you covered. 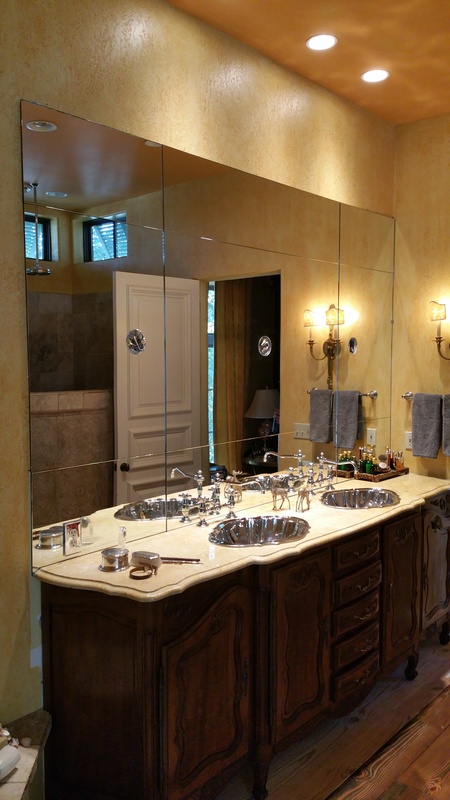 The right custom mirror application can make an ordinary bathroom extraordinary. 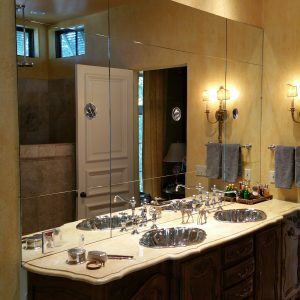 Beveled mirrors make an elegant statement in bathrooms, over fireplaces, in dressing rooms, or anywhere else imaginable. Call to discuss your project or fill out the quote request form for more information about the mirror solutions available at Rogers Glass.